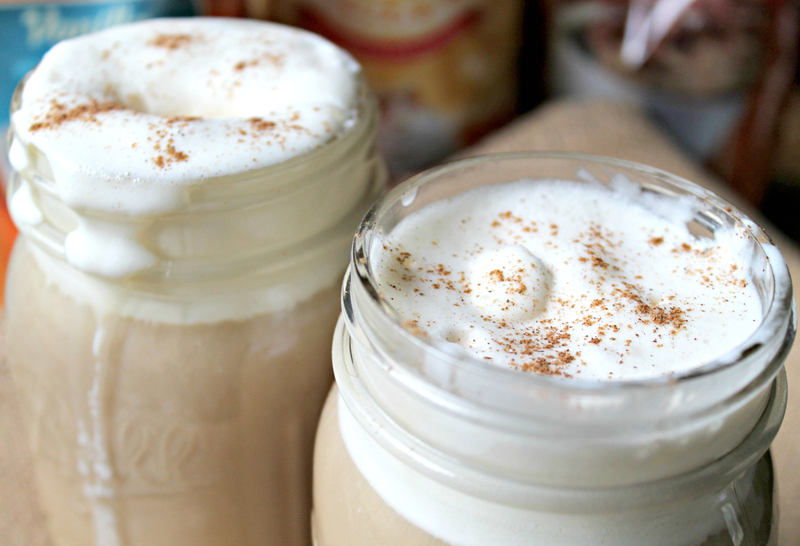 Pumpkin Spice Ice Cream Coffee Float - Perfect for Fall! Hope you’re having a great day so far! 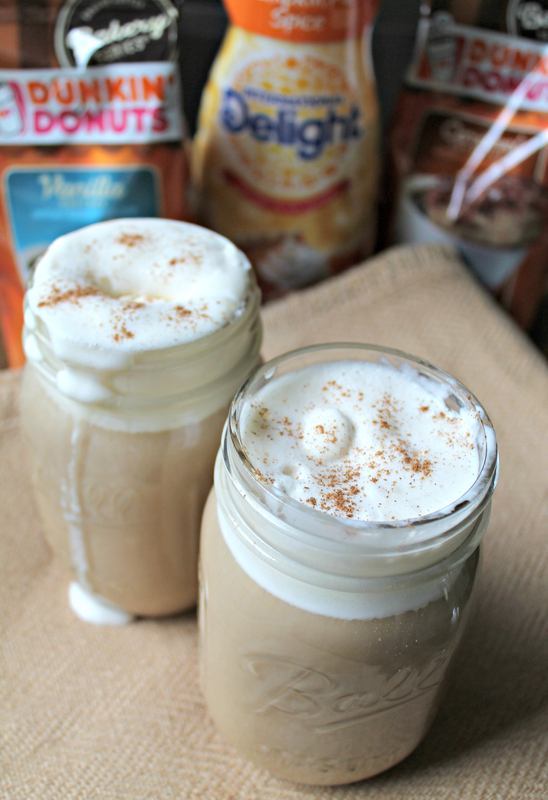 I am super excited about today’s blog post because I’m sharing an amazing Pumpkin Spice Ice Cream Coffee Float! It is seriously SO yummy, you guys. It’s my new favorite drink to make at home! 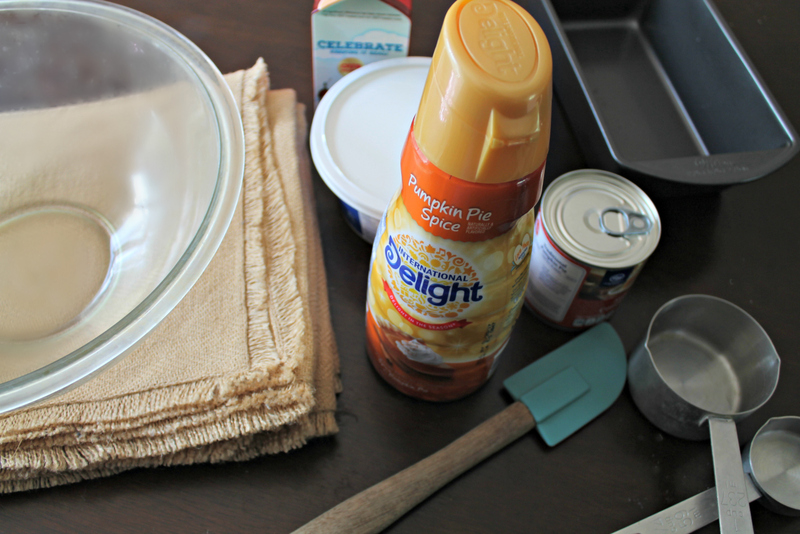 First, we’ll start off by showing you how to make the incredible homemade no-churn Pumpkin Pie Spice Ice Cream using International Delight® French Vanilla Pumpkin Pie Spice Creamer and a few other ingredients. Then, I’ll show you how amazing the ice cream is used as a topping paired with some delicious Dunkin Donuts® Bakery Series® coffee! 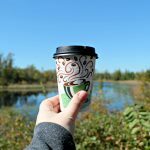 I’ve tried it with both the Bakery Series® Caramel Coffee Cake Coffee, and the Bakery Series® Vanilla Cupcake Coffee, and it’s amazing either way! 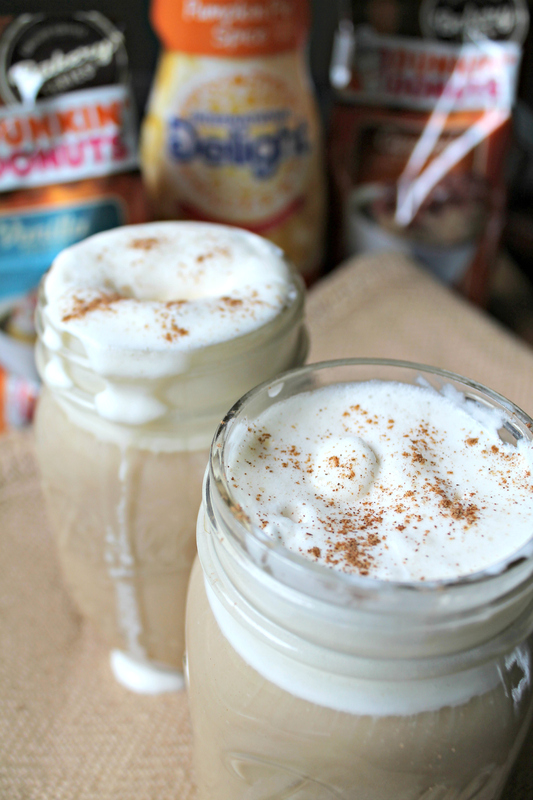 1 cup International Delight® French Vanilla Pumpkin Pie Spice Creamer. In a large bowl, add creamer, sweetened condensed milk, heavy cream, and a sprinkle of pumpkin pie spice, mix well. 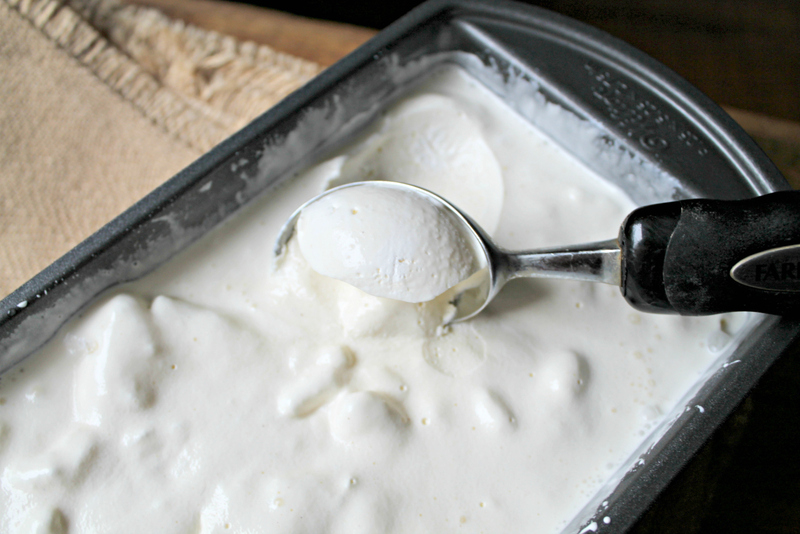 Gently mix in whipped topping until smooth. There may be small chunks of whipped topping, that’s fine! 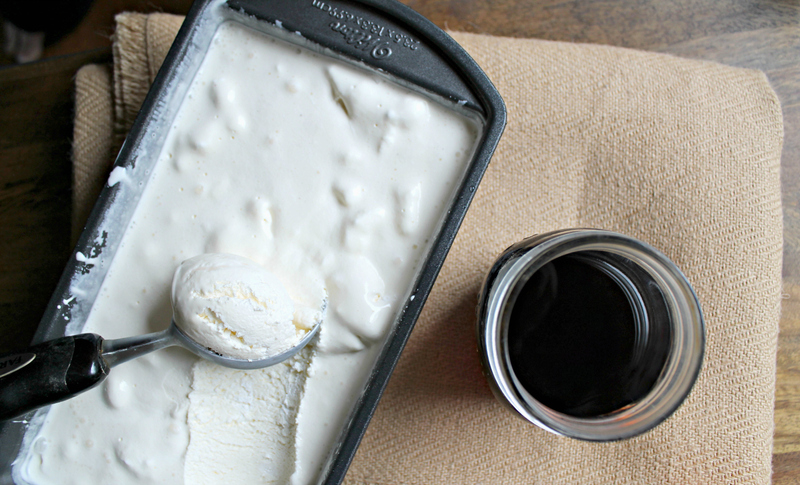 Pour mixture into a freezer-safe container. We used a bread pan. Put in freezer for one hour, remove, stir, and put back in the freezer for at least 5 hours or overnight. 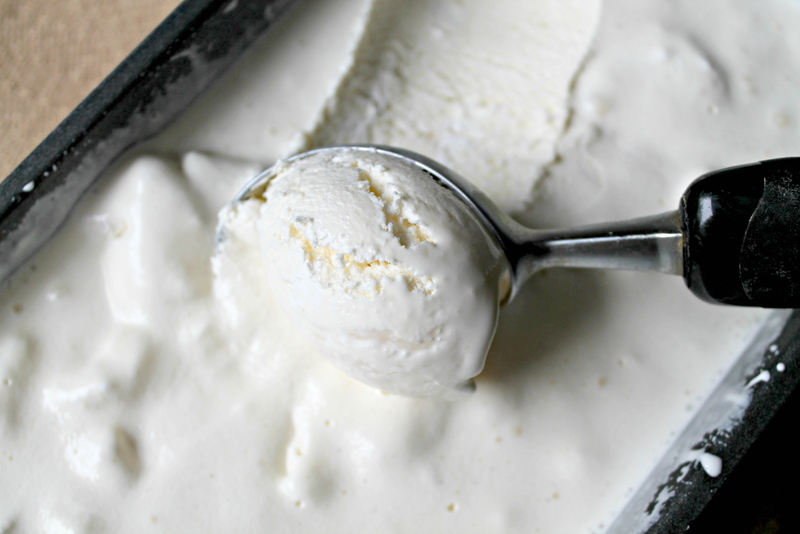 Your Ice Cream will come out smooth, creamy, and oh-so delicious. Once you’ve made your ice cream, brew a fresh pot of coffee using Dunkin Donuts® Bakery Series® coffee. The Vanilla Cupcake flavor is my favorite to pair with this ice cream, the Caramel Coffee Cake flavor is incredible, too! Once your coffee is brewed, grab a mason jar and fill it leaving about two inches of space on the top. 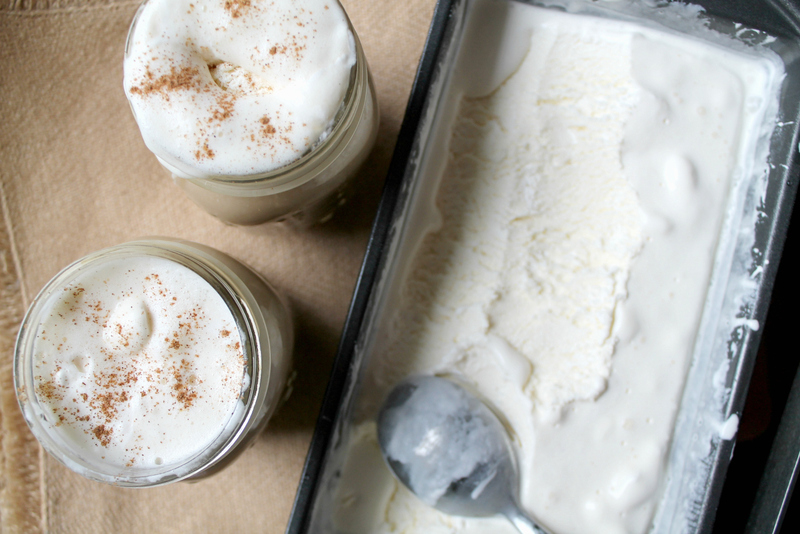 Next, grab an ice cream scooper and scoop a generous heaping scoop of ice cream and carefully put it inside your mason jar. Watch as the colors of the ice cream and coffee dance together in your glass, then, add a sprinkle of pumpkin pie spice to top it off – and enjoy! I really cannot wait for you guys to try this – it’s so delicious! 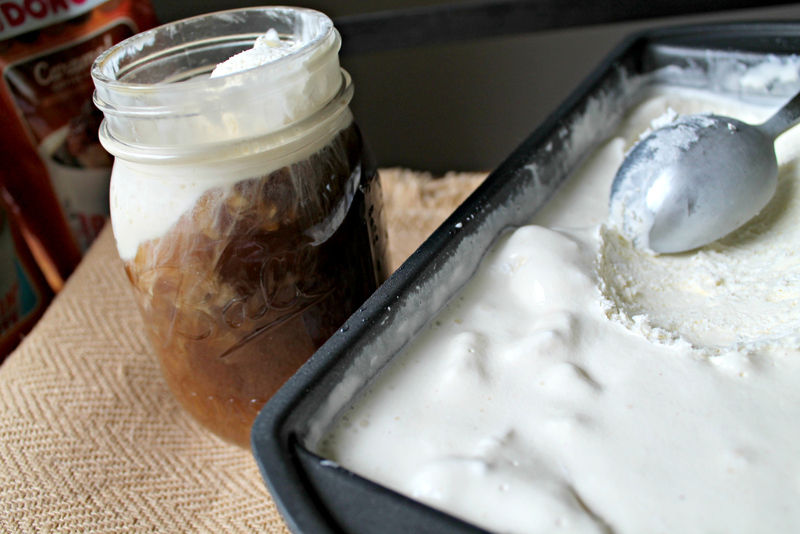 As the ice cream begins to melt against the hot coffee it creates such a creamy, frothy layer and before you know it the whole mason jar turns this creamy beige color. YUM! 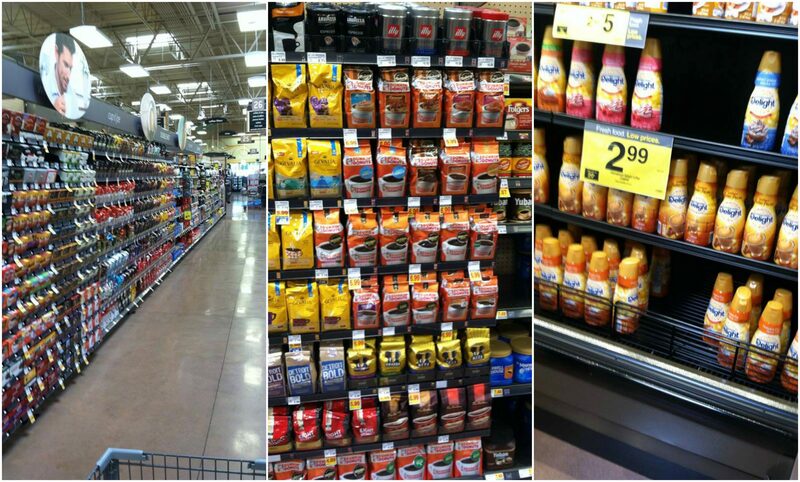 Be sure to head over to your local Kroger where you can pick up the Dunkin Donuts® Bakery Series® Coffee, International Delight® French Vanilla Pumpkin Pie Spice Creamer, and everything else you’ll need to whip yourself up a delicious float! Are YOU a fan of Pumpkin Spice flavored things? Previous Post: « How to Make a Halloween BOO kit for Cats! Yes, yes, and MORE YES!! This looks and sounds AMAZING!! I could totally see this in the future on a certain cheat day. 😉 Thanks for sharing! PINNED! Wow, this sounds so delicious! I’m sure it’s loaded with calories, but it looks like a perfect treat for a cool fall day. Oh my word you are talking my language girl. I am the queen of pumpkin spice. So yummy. Whyyy are you sharing this ultra-yummy recipe? 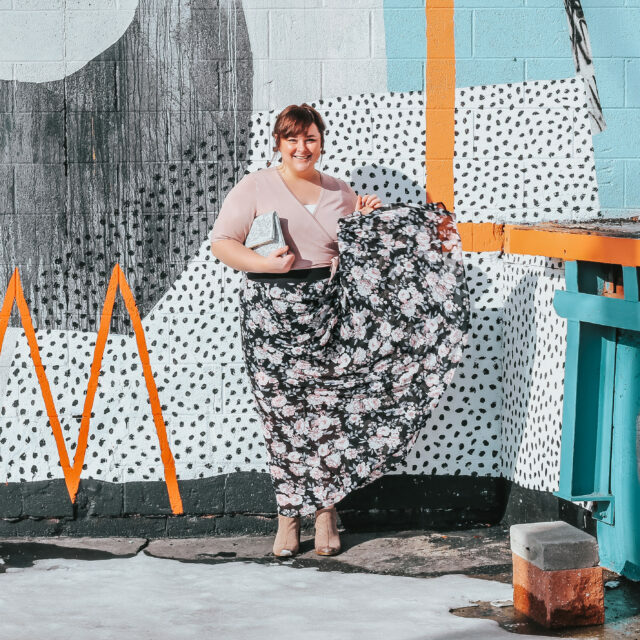 I am so all about the fall season and this one looks like one that I would want to make about a mil times! YUM! This is my favorite post so far this fall! Brilliant! I have made the ice cream with coffee flavoring but I haven’t made a float with it. Yummy! 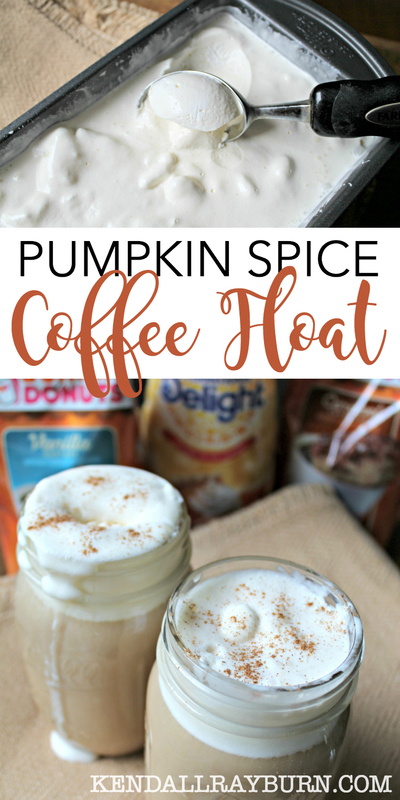 Pumpkin is the best flavor – Can I just say I love fall!, the ice cream sounds delicious! Oh my, this is right up my alley 🙂 I am pinning this and look forward to making it over the weekend. YUM!! Thanks for sharing this fabulous recipe!!! Oh I would love to make this! Unfortunately, this particular brand gives me migraines. 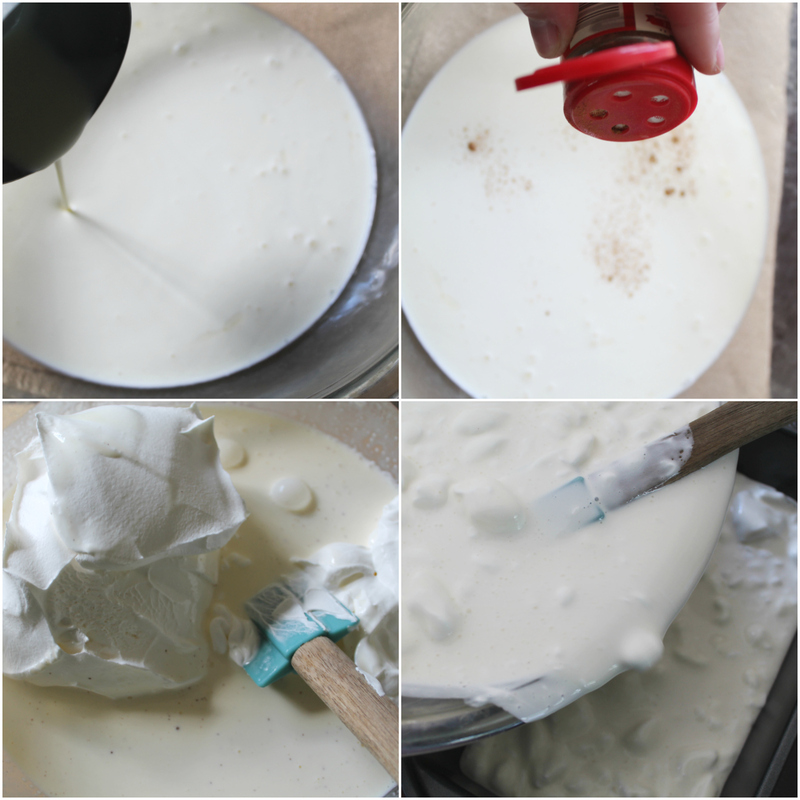 Still, this is a great recipe idea and so clever to use creamer! These photos make me want one now! 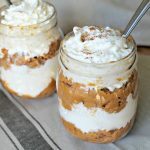 I love pumpkin flavor and these look great in a mason jar. I would serve them at a party. I love the pumpkin spice flavor. That coffee float looks amazing! I need to try this. I may or may not of squealed when I saw this! OMGGGG…This is EVERYTHING. I already took a screen shot of the ingred. and sent a text to my hubby to pick these up for me ha! Thanks for my weekend treat! Wow. This looks amazing! I’m not a huge fan of pumpkin spice but I’d definitely try it anyway if it’s put in an ice cream float! I know I’m probably alone in this, but I hate pumpkin spice stuff! I love pumpkin but the pumpkin spice is just too overpowering for me. More of a vanilla or chocolate girl! Oh. My. Gosh!… This looks so good! 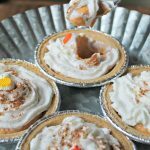 I’m discovering so many new pumpkin recipes this year! This is definitely going on the list of things to try with the kids! 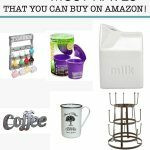 I’d probably add iced coffee! This looks and sounds amazing. I have to try that coffee on it’s own also. I will be trying this sometime this week for sure. This looks ridiculously good! 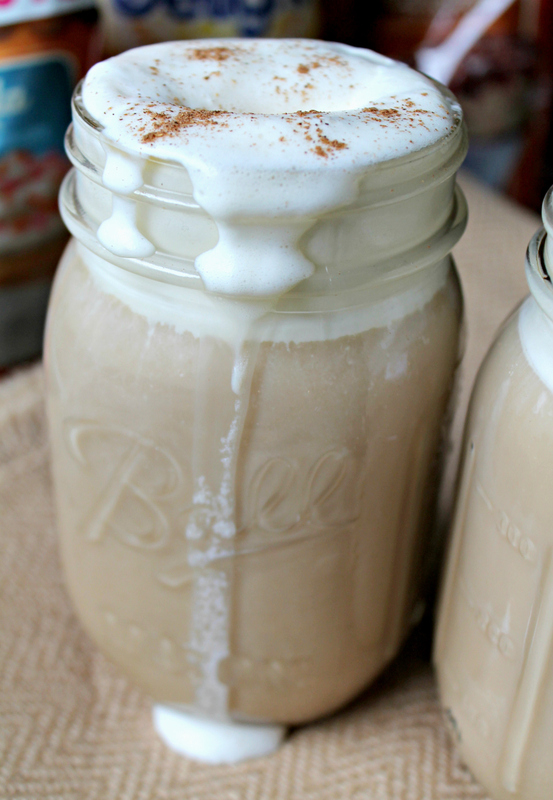 My husband and I love pumpkin flavored coffee and this float would probably rock our world.